In this Devil in the White City tour, travel back in time to 1893, when the eyes of the world were on Chicago and its World’s Fair. Purchase half-price tickets to this event. 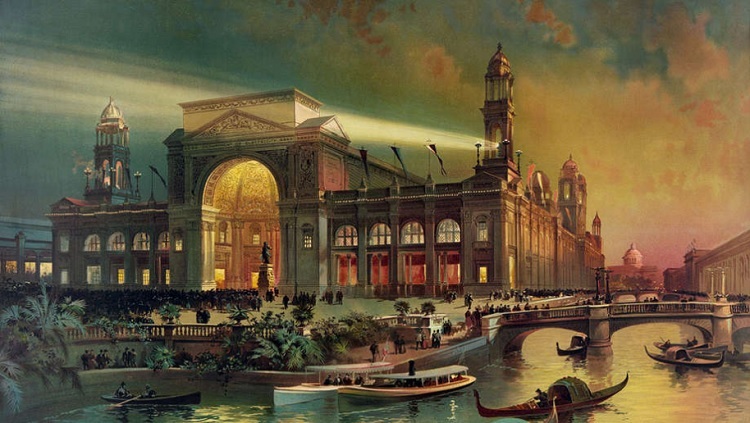 With the city newly built up and beautified after the Great Chicago Fire of 1871, the 1893 World’s Fair was notable for its stupendous architecture, the debut of the Ferris Wheel and much more. This tour, presented by Chicago’s Finest River Walk Tour, also covers a second Chicago World’s Fair, 1933’s Century of Progress Exposition, another historically significant event which celebrated Chicago’s centennial and brought Sally Rand’s fan dance to the masses. During this combined bus and walking tour, you’ll make your way through the original fairgrounds for both fairs and see what it was like to experience the glory and wonder of both amazing events. You’ll hear fascinating stories about how both fairs came to be and learn about the serial killer who inspired the best-selling novel The Devil in the White City.